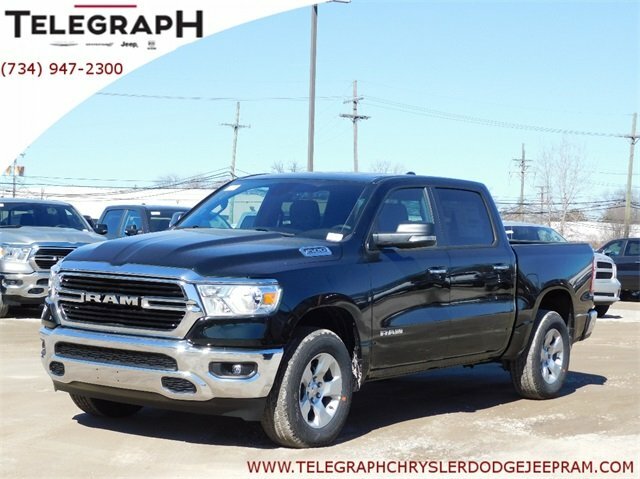 New 2019 RAM All-New 1500 Big Horn/Lone Star Crew Cab in Taylor #9K892 | Telegraph Chrysler Dodge Jeep Ram " "
Price includes: $1,500 - Great Lakes 2019 Bonus Cash GLCKA. Exp. 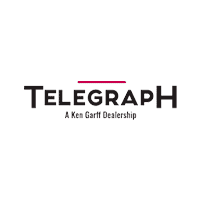 04/30/2019, $500 - 2019 Retail Bonus Cash GLCKA1. Exp. 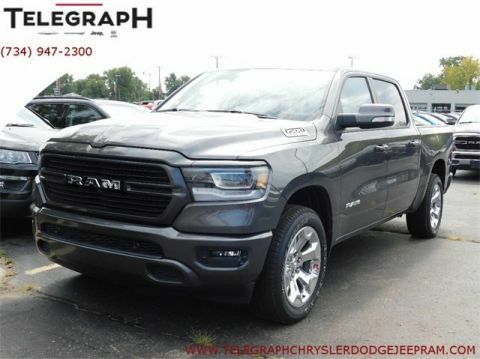 04/30/2019, $3,000 - 2019 Retail Consumer Cash 42CK1. Exp. 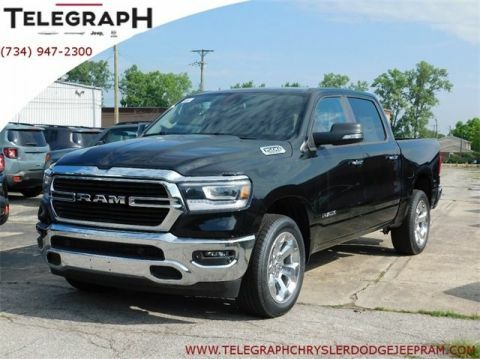 04/30/2019, $500 - Chrysler Capital 2019 Bonus Cash GLCK5. Exp. 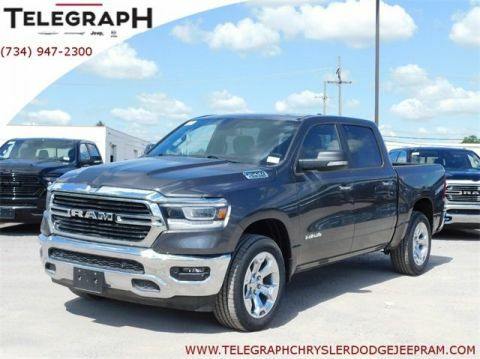 04/30/2019 Black / Forest Green 2019 Ram 1500 Big Horn/Lone Star 4WD 8-Speed Automatic 3.6L V6 24V VVTTelegraph Dodge Chrysler Jeep Ram is pumped up to offer this gorgeous-looking 2019 Ram 1500. Recent Arrival!